Missed care in responding to a patient’s needs can be caused by gaps in resources, communication and technology. Responder® is uniquely positioned to address many of these antecedents, by enabling appropriate response, creating better efficiencies and supporting communications. 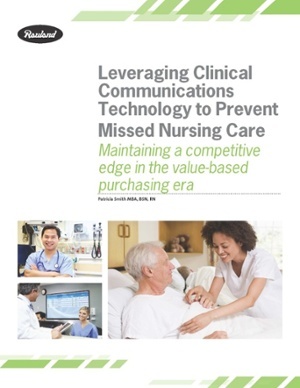 Technology improvements can affect the overall environment of care. Time savings affect productivity. And staff satisfaction loops back affecting patient experience, safety and teamwork.